You really have to love the flourish expression. Here again the course team hope that we will find the assessments challenging and reflective of the work you do on the module. 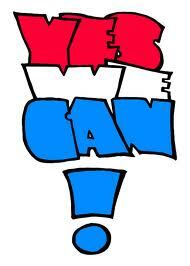 It strongly reminds me on president Barack Obama’s election battle cry “Yes we can“. One thing is already recognizable, the guides from H809 are more up-to-date. They already use the new terminology. They talk about modules instead of courses and call the examinable component already EMA (end-of-course assignment) instead of ECA (end-of-course assignment). Also recognizable is difference in the suggested study time. H809 anticipate that we spent about 15 hours per week on our study, whereas H807 suggests 13-14 hours per week, but spread over 22 weeks instead of 20 weeks for H809. Tutor times are spread quite unevenly as well. H807 state that we can expect that our tutor will spend, on average, 3-4 hours a week in online group tutoring and support, whereas H809 allows the tutors about 5 hours per week. Interestingly the OU suggest that we the students should visit our online tutor group two or three times a week – a week! Let me tell you, if you only drop in two or three times a week you will be amazed how many postings you will find to read and to respond. I can only highly recommend to have a look daily or at least every second day, otherwise it can be quite discouraging finding all the new postings and it is quite time-consuming to go through e.g. 30 or more messages. However, coming to the challenges of H809, which provide an opportunity for my to reflect upon and demonstrate my understanding of the module. TMA01 already sound complicated 😦 and strongly reminds me on U205 Health and disease, a course that was compulsory for my BA study. Book 2 was all about statistics, but at least I now know what a standard deviation is. However, I am quite unsure when the assignment guide refers to choose between project A and B, to create and empirical research question and to identify research literature relevant to the research question to back up if the chosen question is worth investigating. Well, I guess and hope we will find out about project A or B and will also learn what makes a good research question, as well the strength and weaknesses fo the research methods. H800 briefly introduced some research methods such as qualitative and quantitative methods, so I guess I should have a look back to that material. Regarding the second TMA, I am not sure if I am quite biased if I will like it or not. The first part of the TMA questions sounds promising ‘Suppose you are researching how digital games are uses in education’. However, the second part of the questions takes away some of the fun. ‘What effect would the choice of theoretical position, such as Activity Theory (e.g. Engeström, 1989) or Communities of practice (Wenger, 2000), have on the research? Well, question mark?? First of all I found project A and B in the EMA. Project A is about to design a practice-based research study relating to educational technology, whereas Project B requires to write a critique of the research methods that have been used by researchers to study some aspects of educational technology. Right now I would say I go for my own study, but I will see if I still stuck with it at the end. I had to conduct an experiment for SD226 Biological psychology: exploring the brain. Not sure if that qualifies as research, we had to design an experimental hypothesis which was in my case: ‘Drinking a cup of black coffee (200 ml) affects short-term memory in recalling the right position, shape and colour of building-blocks emulated from a model’. Conducting the experiment was actually great fun, thus I hope that counts for our projects here, too.